Nautically inclined indie author, Hugh Howey, is taking to the seas to live the life of a pirate or something. Sadly, the catamaran Hugh is having built doesn’t have space for all the books he collected during his rise to super-stardom so, a few months ago, he held The Most Spectacular Pot Luck Book Signing in the History of the Universe to clear out his storage. For a flat fee per item, fans could request items from his collection – anything from simple signed copies of his books to a Boba Fett action figure. The catch being that there was no guarantee they’d get exactly what they ordered – hence the Pot Luck in The Most Spectacular Pot Luck Book Signing in the History of the Universe. I ordered three “items” but was deliberately vague about what I wanted. 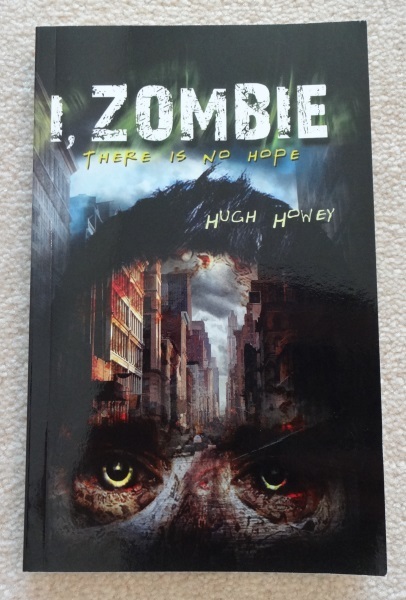 I enjoyed Hugh’s Wool novels but Sand is actually my favourite of his and his “dark” story – I, Zombie is just too tempting to ignore. So, I asked for something related to those two books. The parcel arrived a few days ago and I wasn’t disappointed. 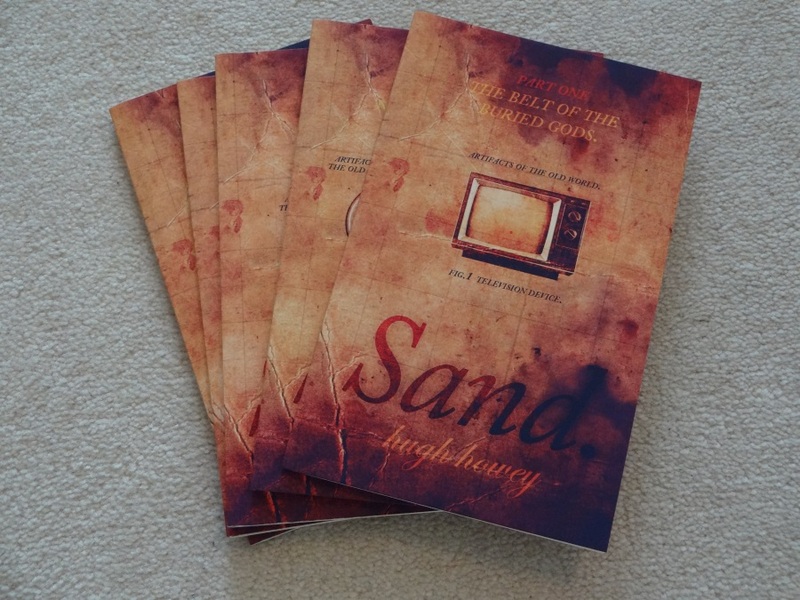 That’s a complete set of the individual Sand novellas, all signed. 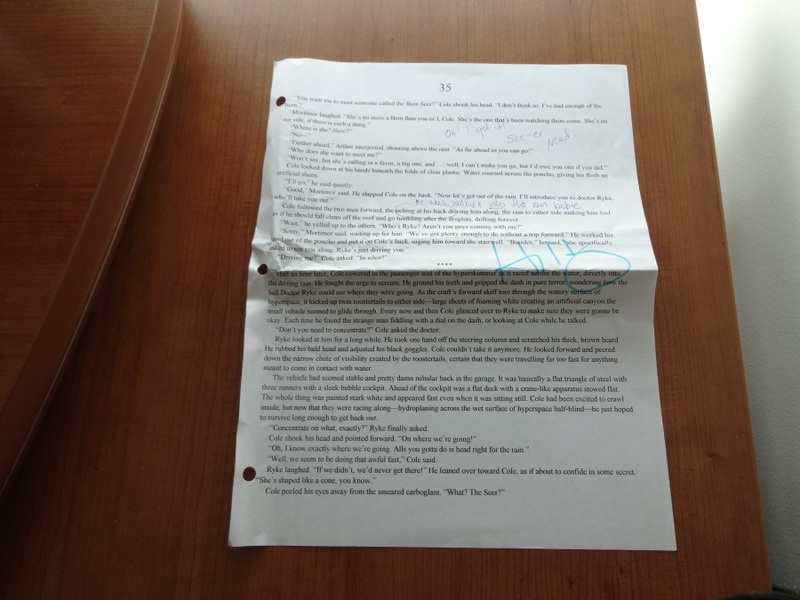 Next, there was a manuscript page from one of his Molly Fyde books. 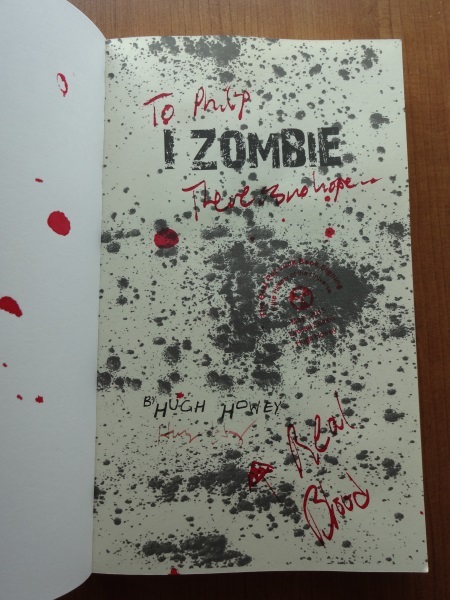 And last, but not least, a copy of I, Zombie. Yes, it’s been signed in blood. (Hugh cut his foot while doing an online book signing and at his fan’s encouragement, signed a copy in the resultant blood). 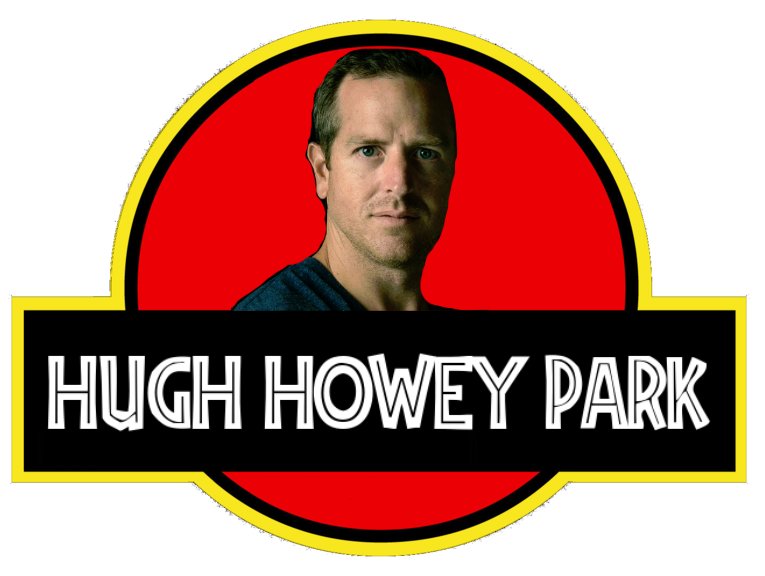 So, that means I have Hugh Howey’s DNA. The question now is what to do with it? 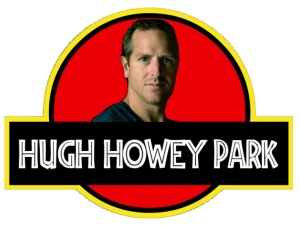 A Hugh Howey Theme Park would be the obvious (and topical) choice, or it might be a way to bring about the scenario described in Daniel Arthur Smith’s Hugh excellent novella, Hugh Howey Lives. Or I could just create my own Hugh Howey clones and increase my indie output dramatically. Of course, I’m sure Hugh is just glad his DNA didn’t end up the hands of David Gatewood. Who knows what evil uses he’d put it to? I haven’t quite decided what to do with it yet, so if you’ve got any ideas post them in the comments. They’ll go into moderation (stupid spambots), but I’ll approve them as quickly as I can.